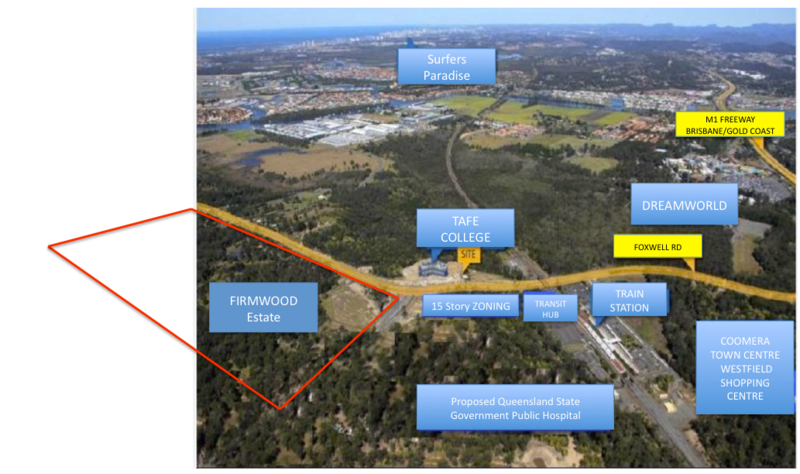 FIRMWOOD Estate is a 21 hectare lifestyle community precinct in Coomera with a specific theme and cultural experience duplicating an era and ambience of the traditional French and Italian renaissance period with ornate and detailed architecture surrounded by lush tropical landscaping. A unique man made beach and filtered swimming lagoon will be the central focus of the precinct. JOINT funding from the Australian and Queensland Governments has been secured for the upgrade of the Coomera Interchange (Exit 54) on the Pacific Motorway, which will ensure a new commercial and retail precinct goes ahead at Coomera Town Centre. The Queensland Government is providing funding of $47.4 million, together with a $10 million commitment from Australian Government and a $17.3 million contribution from the developers of the Coomera Town Centre. Deputy Prime Minister and Minister for Infrastructure and Regional Development Warren Truss said construction on Stage 2 of the interchange upgrade will begin later this year. "The announcement today of the funding partnership between the federal and state governments, along with the developers of the Coomera Town Centre, will see work commence on reducing congestion through this busy interchange," Mr Truss said. 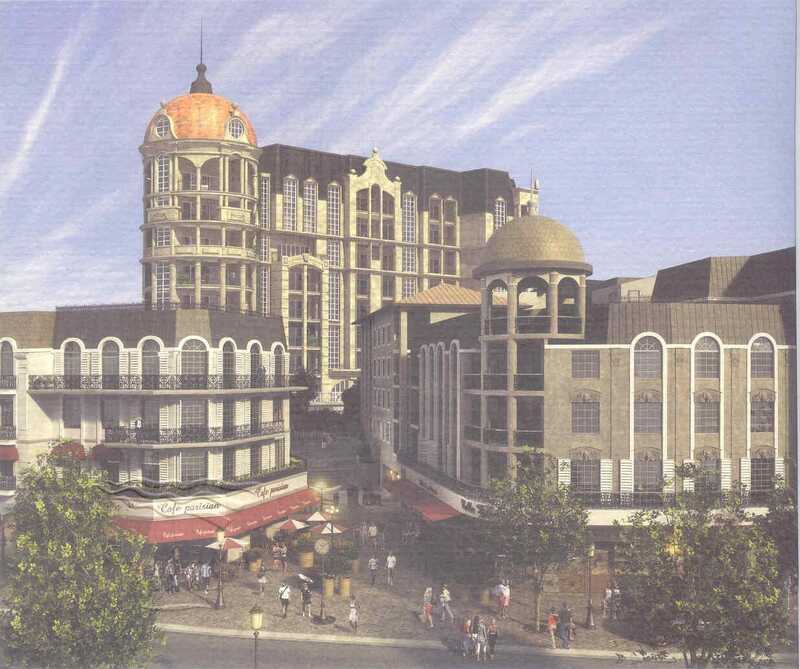 "Final design work is expected to be completed in the coming months, with construction to start soon after. 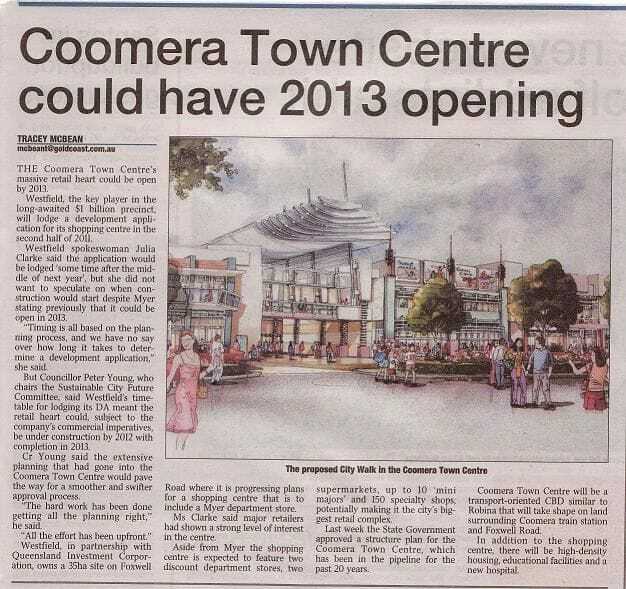 All going to plan, the upgrade will be completed in late 2016, in time for the opening of the new Coomera Town Centre." Deputy Premier and Minister for Transport, Infrastructure, Local Government and Planning, and Minister for Trade, Jackie Trad, said the new exit would provide direct vehicle access to the new Coomera Town Centre where investment worth an estimated $1 billion is in the pipeline, including a new Westfield Shopping Centre. "The Coomera Town Centre is an exciting development for the Gold Coast and the Queensland Government's contribution to the new M1 exit will help in the development of a dynamic commercial and retail precinct. "This major precinct will stimulate economic growth in the region and create jobs for local workers at a time when jobs and job security are more important than ever. "This upgrade will provide the road infrastructure needed to enable the successful development of the Coomera Town Centre, a welcome boost for jobs and community life in the local area. "This is the single biggest issue for local residents and businesses alike and I am very pleased to see this project now progressing." "As an added bonus for motorists and commuters, the new interchange will incorporate a new bridge to the north of the existing bridge over the Pacific Motorway to ease congestion for east bound traffic." 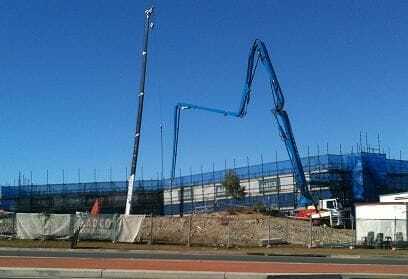 "Depending on no major weather events, the road upgrade should be completed by the end of 2016, in time for Westfield's planned opening of its new Coomera Town Centre development," he said. Thank goodness 2011 is behind us now as it was certainly a tragic year for many, including myself. This year my schedule includes catching up with last year's goals. Let's hope my prayers from New Years Eve pays off where I have a fat Bank Account and a thin body unlike the reverse of last year Ha-ha!!! Great article in this morning's Gold Coast Bulletin that I wanted to share with you about FIRMWOOD Estate's architect Michael Webber. Michael's combined inspiration and knowledge of landscaping and architecture has certainly made our preliminary discussions for FIRMWOOD Estate a natural progressive statement for what The FIRM is focused on developing for the future. 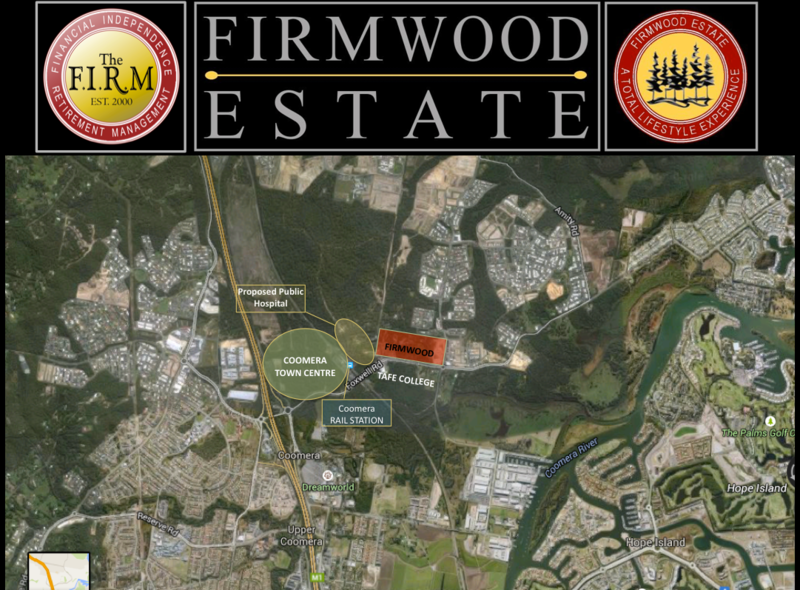 FIRMWOOD Estate is a 21 hectare lifestyle community precinct in Coomera with a specific theme and cultural experience duplicating an era and ambience of the traditional French and Italian renaissance period with ornate and detailed architecture surrounded by lush tropical landscaping. A unique man made beach and filtered swimming lagoon will be the central focus of the precinct. 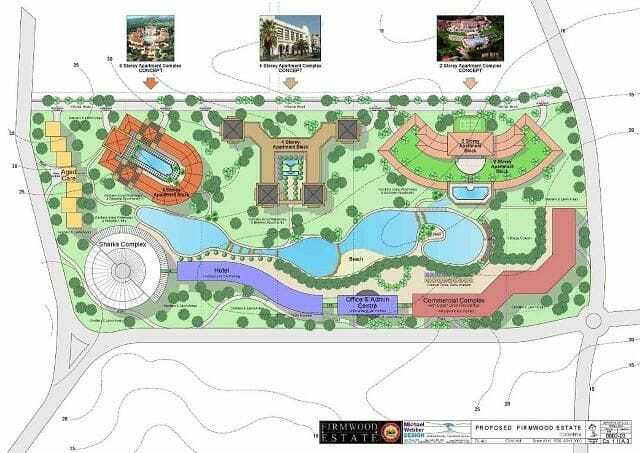 FIRMWOOD Estate has been designed specifically so that it will be affordable to all the members. Stay tuned for another exciting episode in the "World of The FIRM"
It has finally happened, after 20 painstaking years for the State Government to finally approve the structure plan for the Coomera Town Centre. Coomera Gateway Plaza, for those who remember when we were driving around Coomera when I pointed out my Dad's block of land with a small blue house positioned next door to the new University that is currently under construction near the railway station. Yes, perfect position for 92 one, two and three bedroom apartments designed specifically for University students and Hospital staff from the new Public Hospital opposite Coomera Gateway Plaza. This will be our first development for The FIRM Construction (Fast Innovative Rapid Modular Construction) where we can launch all our products. The FIRM Technologies - FIRMTEC Light Weight Concrete Panel to accelerate construction time by 90% of the current building methods and at an affordable rate which will be passed onto all members. The FIRM Eco Crystal Protective Coat - A recycled powdered coloured glass aggregate. CSIRO current ongoing testing through their accelerated Aging Chamber so far prove that after 30 years simulation for exposure to UV and all the weather elements has shown little to on change to colour or structural appearance ... Another world first! The FIRM Eco Lighting - A revolution in lighting -Introducing Power$ava 1 x12V 9W =40W (8,000 hours) replacing 4 x 50W Halogen Down Lights (1,500 hours) Saving upto 80% on Electricity and stops 302Kg of CO2 emission into the environment. Carbon Credits are massive! All these features and more to follow have been a revolution to the International building industry, however the main purpose was to provide economical developments for all our members, hence FIRMWOOD Estate and our existing properties needing repairs and maintenance. Stay tuned for another exciting episode as we deliver our "Standard of Excellence". 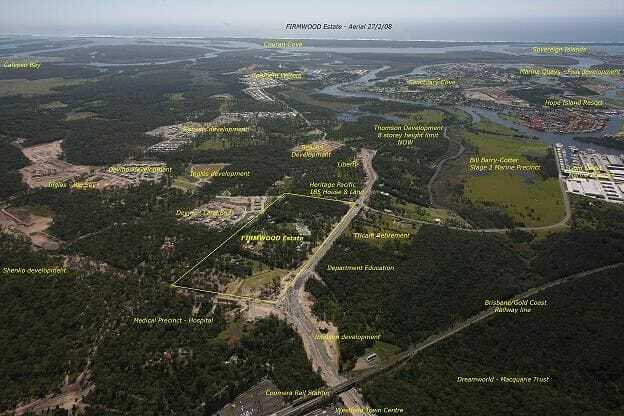 Well, it is official, Coomera is now been rezoned for high density population, and guess where FIRMWOOD Estate is .... smack bang in the middle of all the action. I know I have been keeping this a secret for some time now, however it will not be too long before I confirm exactly where it is and what we are going to be doing with FIRMWOOD Estate. ue man made beach and filtered swimming lagoon will be the central focus of the precinct. 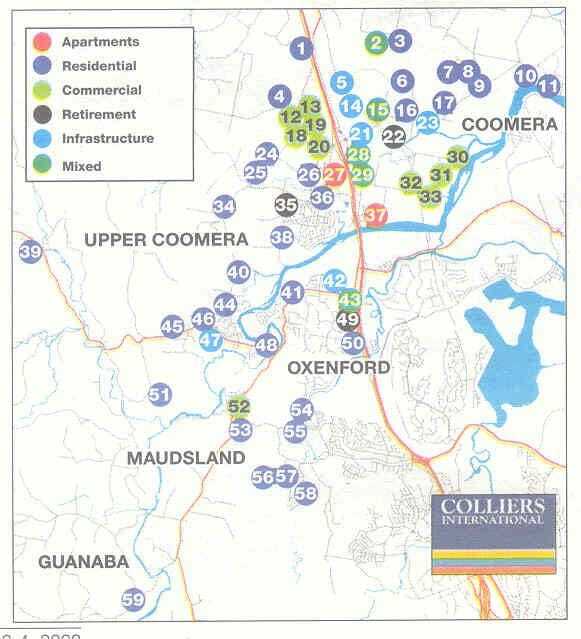 Much of the growth in the northern corridor of the Gold Coast is centred on Coomera. Major developments continue to dominate the $5.3 billion worth of development activity under way or planned in the Gold Coast rapidly expanding northern corridor, new research shows. 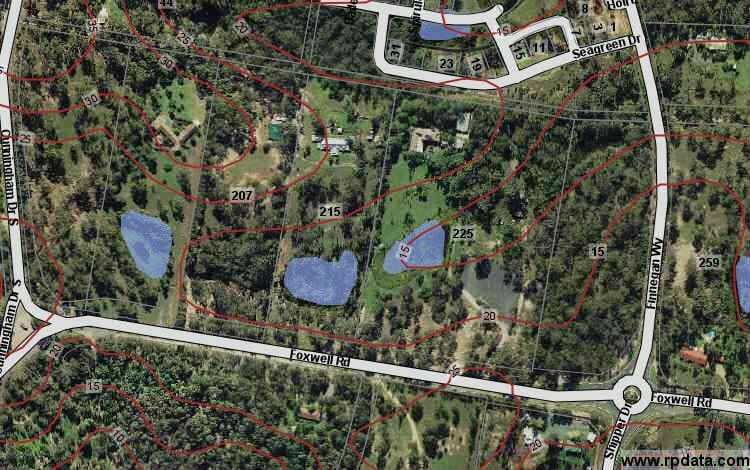 More than $ 3 billion worth of housing estates are under construction or in the pipeline in the area, which includes Coomera, Upper Coomera, Guanaba and Maudsland. 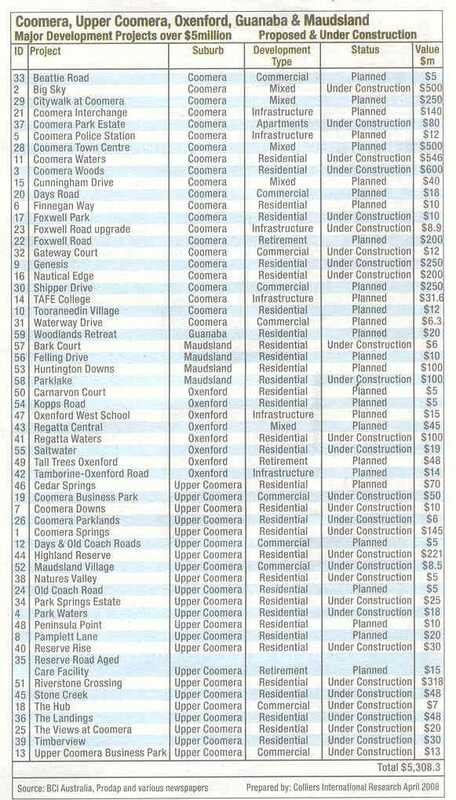 Congratulations to everyone who supported my theory over the past 12 years as the results now speak for themselves, well done, as Coomera continues its growth by reputation. In light of the unique location to the theme parks I visualise the completed development for FIRMWOOD Estate to have a specific theme and cultural experience. Gateway to the new proposed Town Centre. Commercial Town Centre and Community Hall. Themed residential community with a range of 1, 2 & 3 bedroom apartments, Home Offices, Town homes, Roof top gardens, Terraces, Zero-Lot housing and Single & 2 storey homes. 7 day-24 hour environment, including boardwalks, Sandy beachfront lagoon and clock tower. The precinct with its exterior facades that re-create the atmosphere of a provincial European village, can be beautifully achieved through elegant architecture and carefully chosen design accents, however the interior design to be for stylish living. Parklands and leafy promenades will provide an ecological significance encouraging local wildlife to the area ... "A Total Lifestyle Experience"
I strongly believe that if we can deliver a unique precinct, that provides a mix of safe and attractive housing for residents and include much needed services and amenities within the precinct, providing affordability and strong rental/tax returns in one of the highest growth areas in Australia to the members, then we have a recipe for success where everyone will benefit in a win, win, win, situation. 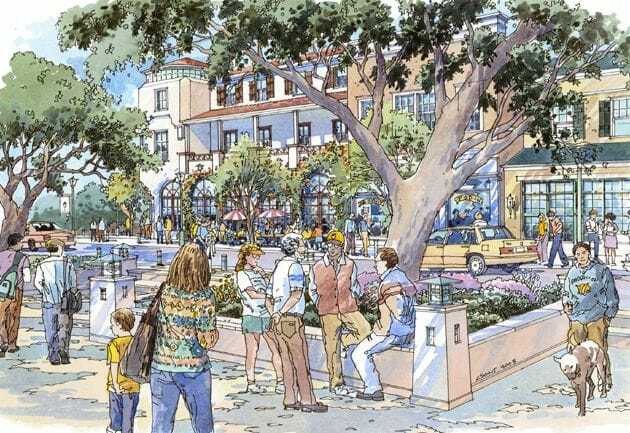 I look forward to hear your comments for any additional features that will enhance our community precinct. Thank you to all of our members for your wonderful support on this project. Above are some of the styles that are going to be available for our new Estate. They are too good for tenants ... Ha-ha!!!! ... Rental letters from the local agents are coming in now, showing $380 to $400 per week. 253 enquiries for 180 sites in stage 1 is overwhelming, so tell your friends and family before they are all gone. Development completion around 12 to 18 months prior to council registration with a $1000 holding deposit in the form of an Expression of Interest. I will soon be releasing the location, however you can be assured this estate would have to be the best prime position development in the strongest growth area on the planet. A little hint ... Coomera Town Centre.